This handy dandy belt driven walk behind floor scrubber is built to last with heavy duty power and could very well be just the right machine for your floor cleaning jobs. 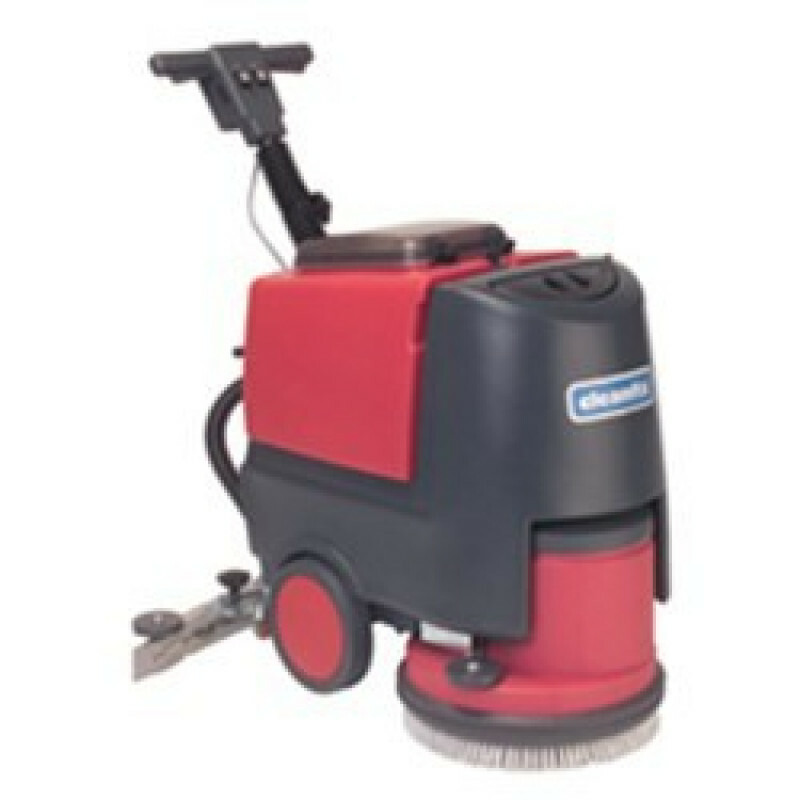 With a 20 inch scrubbing width this Mastercraft RA-501B can scrub your smaller to medium sized facilities in no time! A generous 9 gallon solution tank holds your choice of cleaning solution, visible through a clear dome lid. For best results on a floor, using one of our floor scrubbing solutions like the Neutral Clean floor Cleaning Solution we offer, will get you floor looking like new in no time. For extended life of your machine, make sure to always use one of our floor scrubbing defoamers such as the auto scrubber defoaming agent in your recovery tank. If you prefer using floor scrubbing pads instead of floor scrubbing brushes take a look at our 20" red floor pads, 20" medium-duty blue floor pads, and 20" green floor cleaning pads. If you're looking for a larger machine then check out the other great Mastercraft auto scrubber machines we carry which are part of our walk behind scrubbers category, or one of our generous ride on floor scrubbers. For a smaller unit with unlimited run time, make sure to check out the more economical little brother to this unit, the 17" electric belt driven scrubber. Clear visible dome allows you to see when your recovery tank is nearly full. No squeegee adjustments neeeded for optimum recovery at all times. High brush pressure (106 lbs.) making cutting through grease a breeze!